Natural wood can be formed and shaped in many ways. However, wood turning is one of the most interesting ways. Numerous traditional examples of wood turning can be found in most homes and work places. 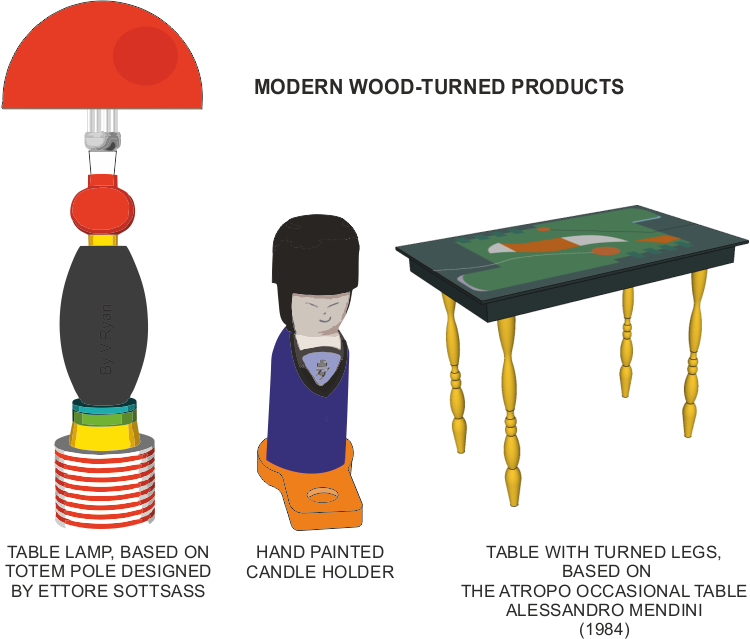 These include, table lamps, table legs, and bowls. However, wood turning skills are as useful today as they have always been. 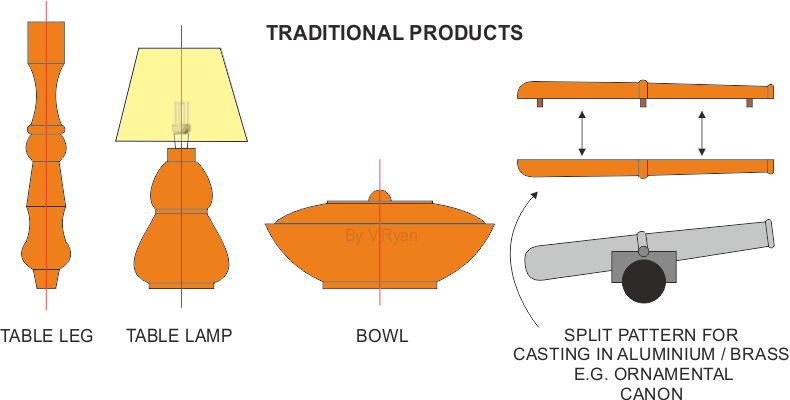 Some examples of traditional and modern turned products are seen below. 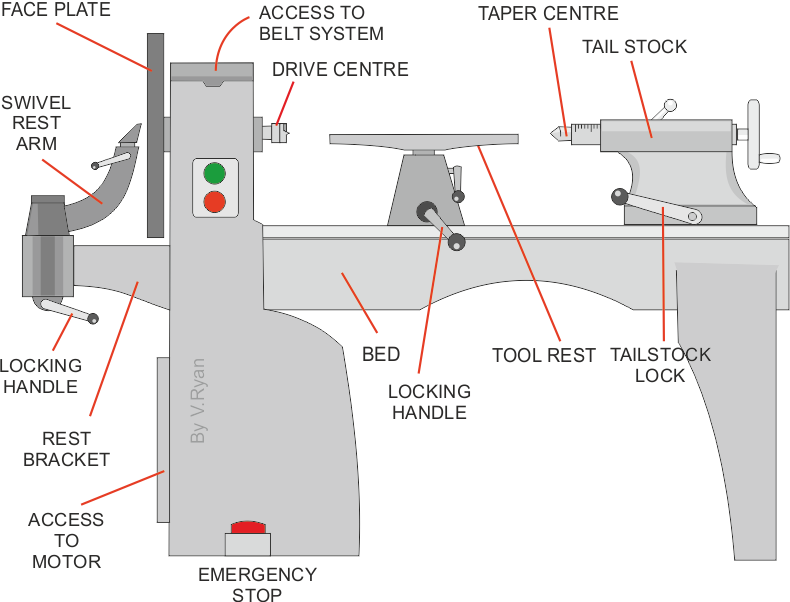 A typical wood turning lathe is seen below. Wood turning takes place either at the face plate (bowls) or between the two centres, the drive centre and the tail stock centre. For example, if a table leg is being turned, this is carried out between the two centres. However, if a bowl is being turned, the blank is usually screwed to the face plate. Cheaper bench top wood turning lathes are available, although they are not as sturdy as the standalone type shown above. They tend to be used by those who turn wood as a hobby and for ‘lighter’ work. Their use is limited by the size and weight of the work to be turned. Nevertheless, the less expensive bench top wood turning lathes can be used to complete small scale / light and yet detailed work.